The portable radio is both long wave and short wave. 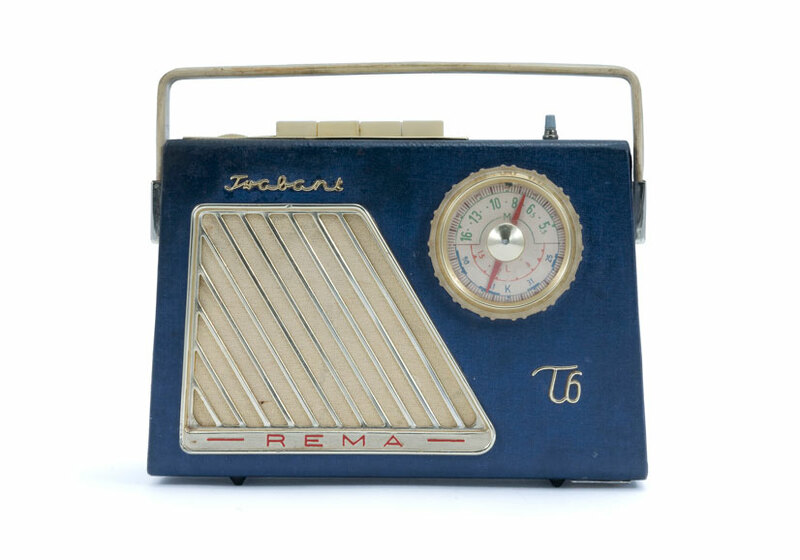 It was produced by REMA, which was a factory for radio, electronic and mechanical items in Stollberg, East Germany. This particular model is Trabant T6, made of leather, canvas and plastic, among other materials.